Is it too late to wish you all a Blwyddyn Newydd Dda………..a Happy New Year? We’ve all been ill here for the past few weeks, so the Muse has been snuggled up in bed coughing and spluttering! Things can only get better now! I hope. Well a whole year has gone now since I’ve started this flow of blogs. Looking back to this time last year I was telling you about Santes Dwynwen, our patron saint of lovers. It’s great to see the museum doing its bit to continue this lovely tradition – the staff must be a pretty romantic bunch! New Year’s Day has been and gone, or as we call it over here, Calan (pron. KAH-lahn). I was once told that the word comes from the same root as ‘calendar’. It’s a word that crops up a few times in Welsh during particular festivals……Calan Mai (May Day), Calan Gaeaf (Hallowe’en) and Calan ‘Dolig (Christmas Eve). But becoming more and more popular again is Yr Hen Galan (Old Calan) on January 12 which was when New Year’s Day used to be celebrated until they changed the calendar in 1752. Yr Hen Galan (uhr hairn GAH-lan) is celebrated now by communities coming together for a Noson Lawen (NOSS-on LAH-when), a good old fashioned dance and variety evening. You’ll see posters announcing them on shop windows and various other noticeboards. It would have been the same in the Slate Valley when the Welsh were at their most active. You’ve only got to look at old copies of the local press over there and the Welsh-American periodicals of the time to see huge concerts been advertised. One of the most well-used venues would have been the Pember Opera House, which once stood near the junction of North Street and Main Street in Granville. I’ve a few programmes of nights held there and they looked liked the sort that would even entertain Simon Cowell!! And that’s saying something!! It was an important part of the community until a heavy blanket of snow eventually brought the house down….literally! 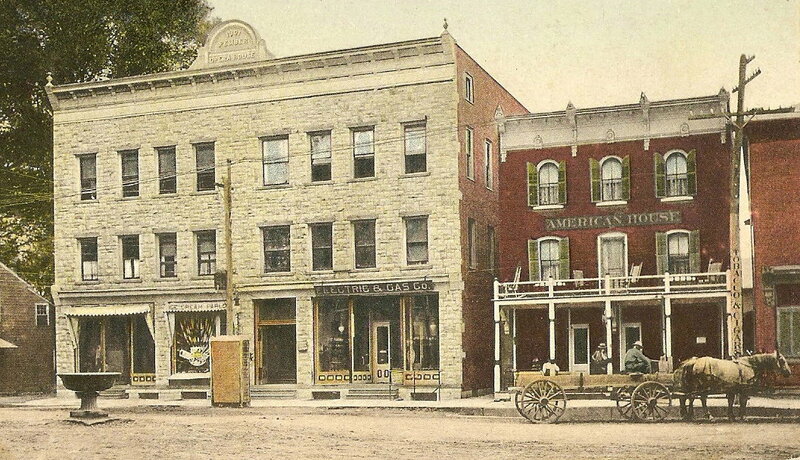 The Pember Opera House, Granville around 1910. So as I was saying, it is great to see the SVM celebrating Santes Dwynwen’s Day on Wednesday. The idea of decorating slate hearts is a lovely touch. There will be a special prize for the best decorated heart, but you’ll have to pop into the museum to find out what it is. The Welsh word for ‘heart’ is calon (pron. KAH-lorn), just one letter away from calan, which leads me onto another well-known song from Wales which some of the descendants of the Welsh quarrying folk of the Slate Valley might recognise. Apparently, the anthem of the Green Mountain College in Poultney, Vt is written to this tune too. You can hear them here singing the original Welsh and college English versions at an informal meeting………..the song is often heard in schools, concerts, chapels and pubs here too! Does anybody recognise it? It’s called Calon Lân (KAH-lorn Larne), which means “pure heart” – the lân also has religious connotations as in being “holy” or “blessed”. It’s actually a lovely song. The song is often used in weddings, especially so as an entertainment as the newly-betrothed couple are signing the registers. The song was written in 1899 by Daniel James, also known as Gwyrosydd to a tune composed by John Hughes. It is said that it was first sung in Aberpennar (Mountain Ash) in South Wales around 1910, but it very quickly became hugely popular because of the beautiful sentiments of the song. The lyrics begin with a statement that the singer does not crave a life of luxury or the world’s gold or its beautiful pearls. All that is asked for is a heart that is happy, honest and pure! The song then begins its famous chorus of only a pure heart full of goodness is fairer than the beautiful lily and only a heart like this can sing all the day and all the night. A good translation of it (one far better than mine) can be found on wikipedia! I love this version of it by Cerys Matthews……….but there are dozens more by others on youtube, such is the appeal of the song over here! No doubt over here in the announcements column in local papers on Thursday and Friday next will be a plethora of families proclaiming the engagements of sons and a daughters to their loved ones. I’m sure the beautiful Ynys Llanddwyn (Llanddwyn Island) I mentioned last time will be visited by many amorous couples over the next week. It’s very windy here this week so they better hang on tightly to each other. The Welsh word for “love” is cariad (CARRY-add), but you don’t have to have a drop of Welsh blood in you to celebrate Santes Dwynwen’s Day………..in fact, why don’t you become Welsh for the day? 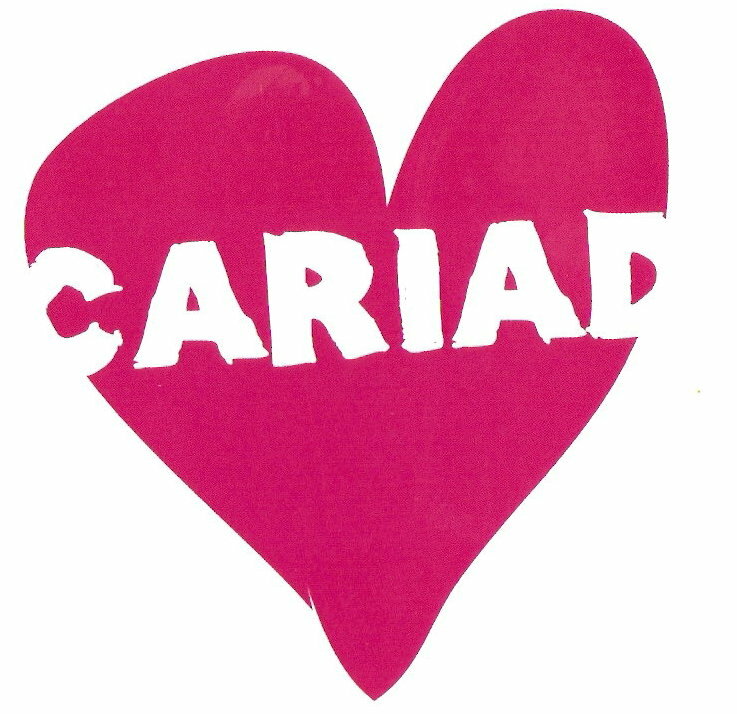 So go on, I dare you……drop into the SVM on Wednesday and decorate a heart and give it to your cariad; tell them you love them with a Celtic twinkle in your eye and your calon! This entry was posted in Uncategorized and tagged Calon Lan, Dwynwen, Green Mountain College, Gwyrosydd, Llanddwyn, Poultney. Bookmark the permalink. 3 Responses to Calan, Calon and Cariad! I’ve just found your blog, and thought I’d let you know about mine, and the project its connected to, just in case you are interested. I’m currently cataloguing the papers of the Pennant family of Penrhyn Castle, in North Wales. They owned the Penrhyn Quarry, the largest slate quarry in the world, and vast tracts of land down to Betws y Coed, Ysbyty Ifan and around the Penmachno area. They are oftne best rememberd for the ‘Great Strike’ of 1900-03 which led to many welsh quarrymen leaving the town of Bethesda to find work elswhere.